Sometimes life can get pretty dull and boring for corporate employees, who spend most of their time confined to their cubicles glued to their computer screen. As such a burst of some thrilling experiences is needed to break this monotonous chain and adventure activities are one of the best and safest way to add some thrill to your life. Today there are varied and large number of choices of resorts for corporate outing located in and around Bangalore that offer a bunch of adventure games in their sprawling facilities, and with special requests made, they can also help customize some team building activities as per your liking. Besides the varied choices of resorts here are a few destinations known for being heaven for adventure seekers. Bheemeshwari:Bheemeshwari located at a distance of only 100 km from Bangalore city centre is an extremely scenic location blessed with rich flora and fauna that attracts people from all over the country. Taking advantage of its rich landscape, Bheemeshwari offers a bunch of adventure games to appease adventure enthusiasts. Some of the activities one can enjoy here include camping, trekking, Burma loops, Catwalk, Elephant walk, coracle rides, water rafting, kayaking, zip lining, mountain biking and much more. There are several luxury cottages and resorts for corporate outings that can help arrange various theme based team building programmes and fun-filled activities. Ramanagara: Popular as the sight of Sholay movie shooting location, Ramanagara located at a short distance from Bangalore is the hub of adventure activities in Karnataka. There are plenty of great adventure games organised here including varied team building activities. Some of the many activities one can enjoy at Ramanagara include – rafting, kayaking, swimming, coracle rides, day and night treks, camping, rappelling, rock climbing, target shooting, archery, etc. There are several resorts and event groups that can help you customise your adventure corporate outing as per your taste. Kanakpura: Located just 50 km from Bangalore city centre, Kanakpura is heaven for relaxing and thrilling activities simultaneously. The rich scenic beauty of the region is great for nature walks, bird watching and camping. While the plethora of adventure games give it a thrilling edge. Some of the many adventure activities one can enjoy at this pleasant location include day and night treks, swimming, shooting, archery, zip lining, coracle rides, flat water rafting, power boat ride, rappelling and paintball to name a few. There are several events group that help organise nature camping along with bonfires and other great team building activities for a fruitful and productive corporate outing. Sakleshpur: If time is not a constraint, then Sakleshpur is a great destination for corporate outings that offer a great blend of nature’s peace and serenity and the thrill of varied adventure games and sports. There is plenty of things to do and see inSakleshpur thereby ensuring not a single dull moment in the entire trip. 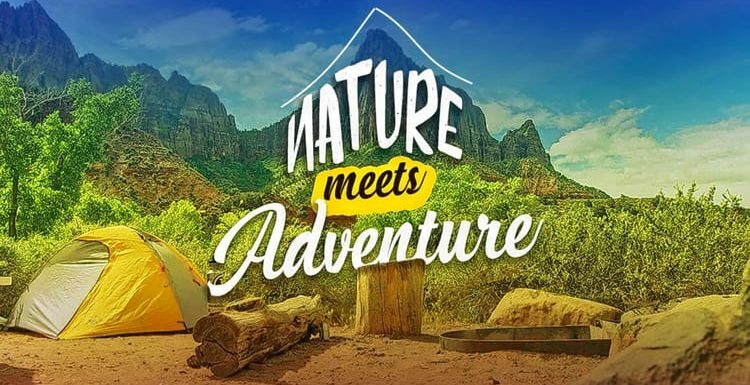 Some of the many adventure games one can take part in include – rain dance, swimming, zip line, paddle boating, trekking to the top of the mountain, jeep safari at the Bisle Reserve Forest, biking, horse riding and walk around the varied coffee, tea and spice plantations. There are numerous homestays and resorts that can help make your corporate outing even more enjoyable with a bunch of team building activities specially organised to keep your employees happily engaged.